This casual crewneck is elevated with washed cotton jersey and a signature sailing-inspired crest. Size M has a 72.4 cm body length (front and back), a 50.8 cm shoulder, and a 55.9 cm chest. 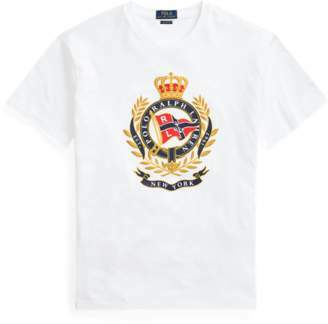 "Polo Ralph Lauren" crest printed at the centre front.